Nexter	is ready to help you get the answers you need. Nexter	will reply to your questions about Get extension name	shortly. We appreciate your feedback about your support experience with Nexter, developers of Product Filters for WooCommerce. This helps us maintain high standards on the WooMarketplace, and helps Nexter improve. Glad to hear it went well with Nexter. Tell us more. Did Nexter get back to you? Do you have any additional feeback for us or Nexter? The ability to filter products in stores today is a necessity to make the search for goods more efficient. Users are accustomed to using this tool, and not offering it can hurt your store. The solution: Product Filters. Statistics show that 75% of users leave a site if they do not find what they are looking for in 15 seconds. 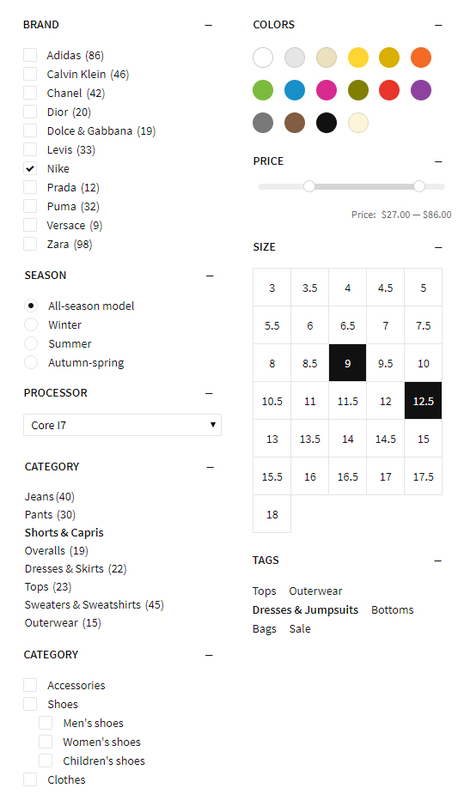 Make the process of searching for products simple and fast with Product Filters. Keep potential customers.